I have been a strong advocate of white tea for years. 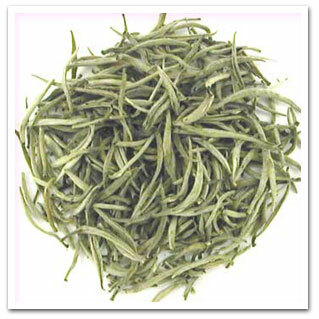 White tea is the immature bud of green tea and is less processed, has less caffeine and has more antioxidants than green tea. It is also noticeably sweeter and lighter tasting than green tea. Now researchers in Germany, led by Marc Winnefeld, have found that white tea also has anti-obesity effects. That’s right, white tea has two major fat-busting components. First white tea reduces the formation of new fat cells, AND it also stimulates the breakdown of fat in already existing cells. The explanation is complicated, but the conclusion is spectacular. Finally here’s something we can ingest that actually will make us skinny! Drink at least 3 cups a day, 8-10 is even better and watch the fat cells disappear. I would really appreciate your comments below. Ask me any diet related question or let me know what you would like to know more about. If you read this article and could forward it to a friend you could really help them out. Most importantly, if you are struggling and need help all you have to do is email me at tiffany@skinnycoach.com and I’ll set up a complementary session with you to pinpoint your triggers and help you with ways to deal with them. You don’t have to struggle with your weight and health. I can help you. Skinny Coach will call you with the results. Please add me to your Facebook friends and I will send you the list of the 100 names of sugar and 1 tip to lose that belly fat. www.facebook.com/skinnycoach. Posted in Brain, Dieting, Food, Health, Nutrition, Research and tagged anti-obesity, drink, fat cells, white tea on May 5, 2015 by tiffany. "My husband is thrilled that I've found a plan I can stick with and that's working so well. He says it's miraculous -- I look just like the girl he married!" "I lost 16.6 lbs in 28 days plus 21 ¾ inches my first month!" "I lost 15 inches my first month and am just so happy that I don't have to worry about what to eat anymore. Following the Skinny Coach plan is so simple, even in times of travel, sickness and holidays."